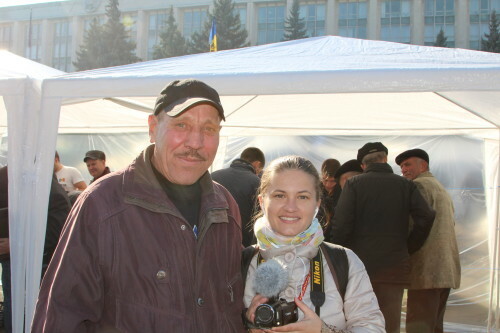 Tania Ețco is a video correspondent for Radio Free Europe in Chisinau. In this feature, we see how she reports on the street protests in Moldova's capital. Chisinau, September 6, 2015. Dozens of tents have been set up in the center of the Moldovan capital following a street protest that drew tens of thousands, as public frustration over rampant corruption reached the boiling point. The protesters are demanding an investigation into the up to $1.5 billion that disappeared from three Moldovan banks last year and for those responsible to be prosecuted. They are also demanding early elections and for the president, the prime minister, and other officials to resign. After two months of protests, the government has not yet responded to the demands of the demonstrators. On November 1, protesters and their fellow citizens participated in the initiation of a referendum on the election of the Moldovan president. 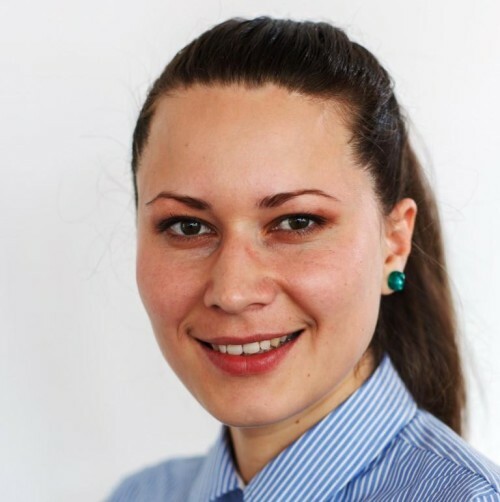 Tania Ețco is a correspondent for the Chisinau office of Radio Free Europe. Since the beginning of the protests, she has been producing short videos about the protesters and their demands. Her work can be viewed on the website of Radio Free Europe. The protests are still ongoing. Hundreds of citizens who have been camping out in central Chisinau, the Moldovan capital, pledged to stay until the government and the president have resigned and new elections are announced. On October 29, the Moldovan parliament voted with an overwhelming majority to dismiss the government of Prime Minister Valeriu Streleț. Until now, negotiations on forming a new government have failed.